10037 Old Sawmill Rd. Bloomington, IL - FOR SALE by Couillard & Co. Welcome to Charterwoods Subdivision where you can watch the sun rise and set over the fields of corn, catch some fish or row a boat in the two ponds, or take a dip in the community pool. This stunning Ranch sits on just over 1 Acre w/ no backyard neighbors, has 4 bedrooms, & 3 full baths. Foyer opens up to an open floor plan featuring views to the dining room, living room w/ gas fireplace, four seasons room, & eat-in kitchen. 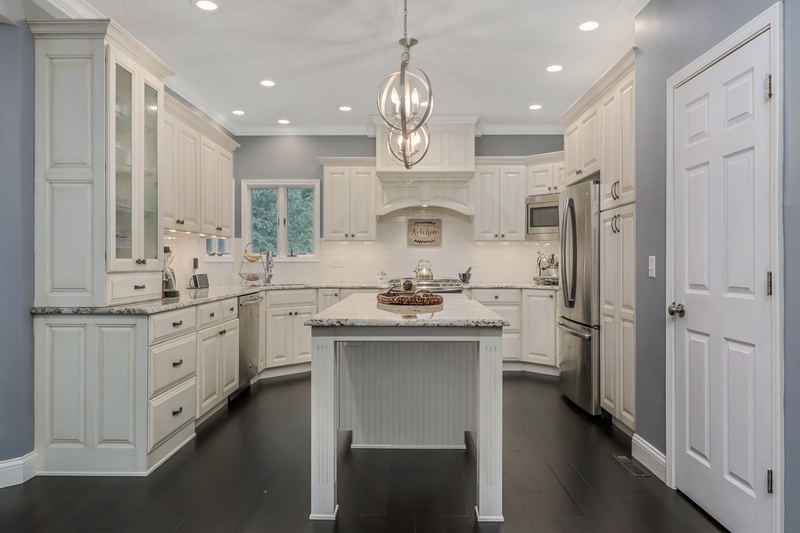 In 2015 Kitchen was remodeled w/ new custom cabinets, granite countertops, island, fixtures, & SS appliances. Master bedroom offers his & her sinks w/ separate shower room & walk-in closet. Finished basement has daylight windows, large family room, 4th bedroom w/ full bath, & another finished room in the storage area. New in 2016: Roof, Hi-Eff Water Heater, Both Bathrooms on first floor, Flooring throughout (hardwood, ceramic tile, carpet), Main Floor paint, hardwood, and trim, Doors, Pantry shelving, and Laundry Room. Don’t miss out on this one!